In the 2013 version of the program, SolidWorks has made it much easier to access the forum. They have added a SolidWorks Forum tab at the top of the Task Manager. When you click this tab, a list of current forum topics appears in the window. There is also a search tool at the top of the window, along with options to refine your search and a button to start a new discussion. Always make sure to explain your question/ issue clearly. 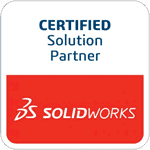 State what you are trying to accomplish, the problem you are having, and always specify which version of SolidWorks you are using. Screenshots are a great way to show the issue you are having. If allowed, attaching the problem file can make it easier for those on the forum to troubleshoot the issue. No matter what issue you come across while using the program, chances are, someone else has experienced the same problem. The forum is a great place to find the answers to these problems.